I like my warm fronts like my steaks: medium rare, smoked over a wood flame. Although hardly a heatwave, our current warming trend is accompanied by a thick pall of smoke from a most unwelcome barbecue over western Canada. Hundreds of wildfires are pumping smoke into the upper atmosphere, where prevailing jet stream winds push it southeast over Minnesota. Instead of a deep, topaz-blue, the sky is a milky, hazy eggshell-blue. That's diluted smoke from fires 2,000 miles upwind. While we dry out from record June rains - historic heat & drought from a stalled weather pattern is igniting a fiery summer, 1-2 months ahead of schedule. A stray cumulonimbus thunderhead sprouts around the dinner hour; a warm, dry, lazy Saturday giving way to a better chance of T-storms by Sunday afternoon. Highs poke into the mid-80s both days, warm enough to work up a respectable sweat. A stalled warm frontal boundary sparks heavy T-storms Monday into Wednesday; NOAA QPF guidance prints out some 1-3 inch rains, with a slight risk of flash flooding by midweek. No worries: 80-degree sun returns late next week and odds favor a dry, 78-degree sky for Sir Paul McCartney at Target Field Saturday evening. Canadian Smoke Plume. The late afternoon 1 km visible image showed a few showers sprouting near Mille Lacs and Pelican Lake; heavier T-storms near Spooner and Eau Claire. If you look carefully you can see the outline of smoke drifting out of Canada, giving the sky a milky, hazy-blue appearance. Image: NOAA and HAMweather. Prime Time Summertime. Summer took its sweet old time, but the maps definitely look summerlike into mid-August, a taste of the mid-July we should have experienced. Expect mid-80s Saturday and Sunday; maybe a T-storm Sunday afternoon and night into Monday. A wave of low pressure tracking along a muggy warm front draped over southern Minnesota may spark heavier showers and T-storms late Tuesday into midday Wednesday. I wouldn't be surprised to see some 1-3" rains close to home. After cooling off Wednesday we warm well into the 80s again by the end of next week. MSP Meteogram: Weatherspark. East Coast Soaker. Once again weather patterns are slowing to a crawl, a sloppy front stalled over the East Coast may spark some 3-6" rains across thhe Carolinas by Sunday; maybe 1-2" from near Charlotte to Washington D.C. and Philadelphia. The Southwest sees monsoon T-storms, especially New Mexico, with potential flash flooding over Louisiana. 4 KM WRF accumulated rainfall out 60 hours: NOAA and HAMweather. Weather Causes 2,000 Deaths a year In U.S. A significant percentage of those deaths are cold weather-related. Here's a clip from a Wall Street Journal article: "The weather kills at least 2,000 Americans each year and nearly two-thirds of the deaths are from teh cold, according to a new government report. That may surprise some people, the researchers acknowledged. Hurricanes, tornadoes and heat waves "get more publicity, for some reason, than cold-related deaths," said Deborah Igram, one of te report's authors..."
Klotzbach-Gray Call For Three More Hurricanes This Season. But will any of those predicted hurricanes strike the USA, that's the multi-million-dollar question. A 38% probability of a major hurricane strike on the USA through the rest of the season? Fort Lauderdale's SunSentinel has the story; here's an excerpt: "Storm prognosticators Phil Klotzbach and William Gray are standing pat, still calling for a slower than normal hurricane season. In an updated outlook released Thursday, they continue to predict 10 named storms, including four hurricanes. 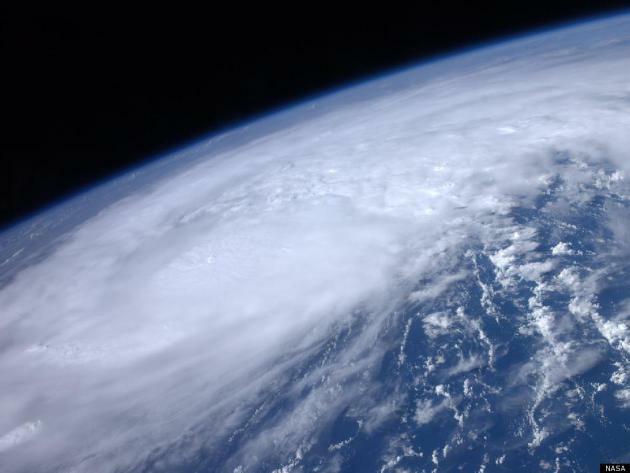 They project one of the hurricanes will be major, with sustained winds greater than 110 mph..." (Hurricane Irene file image: NASA). Rain, Not Heavy Winds or Lightning, Most Dangerous Effect of Hurricanes. People (including meteorologists) often fixate on the Category of the storm and peak winds near the eye, when most injuries and deaths arise from the subsequent storm surge and inland flooding. Forward speed of a tropical system can be more important than wind speed at landfall. A slowing or stalled tropical depression can be even deadlier, in terms of flash flooding, than a fast-moving hurricane. 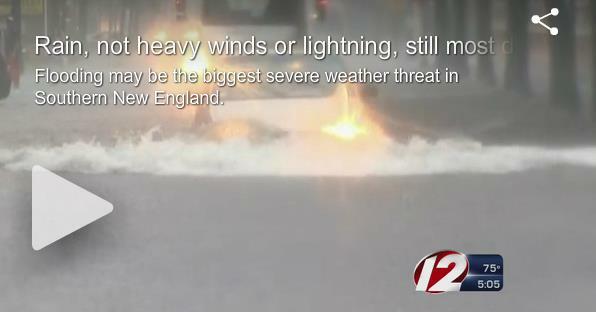 Here's a video and excerpt from WPRI-TV in Providence: "When it comes to hurricanes, many weather-watchers focus on the storm’s category or its wind speeds while the radar’s colors grow darker. 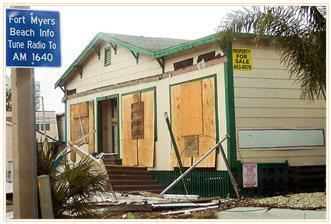 But during this year’s first hurricane, it was actually the rain that caused the most local problems. Of course, the heavy winds and the lightning strikes are all dangerous and life-threatening. It’s flooding, though, that remains the nation’s top weather-related killer..."
Hurricane Sandy Is Ushering In a Smarter Power System. A silver lining from Superstorm Sandy? 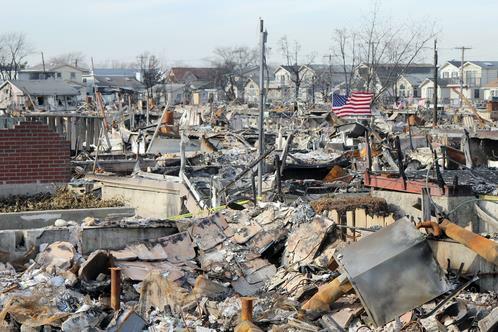 Here's an excerpt from The Energy Collective: "...Beyond the shock, New Yorkers found a silver lining in the destruction. The storm made crystal clear that the existing electricity system is not suited to address the challenges of the 21st century. In response, New York State recently released a powerful report illuminating how it plans to create a more affordable, efficient and more reliable grid. Titled Reforming the Energy Vision, this game-changing documentcalls for a new approach to generating, managing, and delivering electricity throughout New York. The state proposes to replace aging infrastructure by investing nearly $30 billion over the next decade to develop a smarter electricity system..."
When Charley Came To Call. We're 2 weeks away from the 10-year anniversary of Hurricane Charley, a small, compact but ferocious Category 4 storm that slammed into southwestern Florida. Here's an excerpt of an excellent recap of the storm from Fort Myers Beach News: "...There’s normal time, and there’s hurricane time. When Charley darkened the skies, unleashing raging winds and torrential rain over Fort Myers Beach, Sanibel, and Captiva, those on the ground could only hold their breath and hang on for the wild ride. Minutes felt like hours, and hours dragged on endlessly. Yet Charley proved to be fast moving and fairly compact for a Category 4 hurricane, blasting through in just a few hours, and saving his harshest wrath for Sanibel, Captiva, Punta Gorda, Port Charlotte, and inland communities in DeSoto, Hardee, and Polk Counties. Fort Myers Beach was spared the worst, but an 8-foot storm surge caused "the Gulf to meet the bay, and seawater covered the entire island for a brief period,” according to WINK-TV Meteorologist, Jim Farrell..."
Thousands of Inmates Serve Time Fighting The West's Forest Fires. I knew that some prison inmates were involved in fire fighting, but I had no idea of the scope of this, especially in California, until reading an article at NPR; here's an excerpt: "...Other states like Wyoming and Nevada have similar inmate programs, but the California Department of Corrections program, with about 4,000 inmates, is the largest. Corrections officials say the program saves the state more than $100 million a year. These offenders have been convicted of things like drug crimes, minor battery or robbery. They're trained by a professional and often work in crews of 16 — always with a professional firefighter in charge, like Capt. Josh Kitchens..."
Photo credit above: "Emir Dunn, an inmate firefighter stationed at the Chamberlain Creek Conservation fire camp in California, at work on a fire. 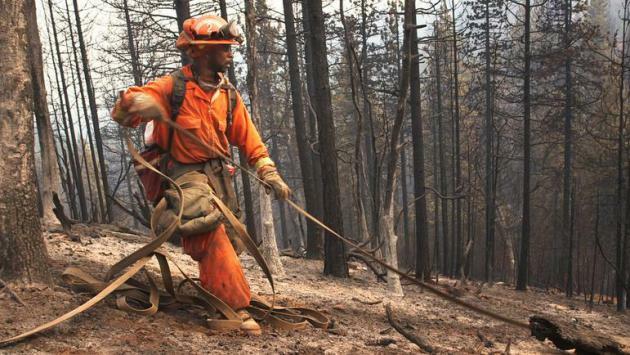 About 4,000 inmate firefighters battle blazes across the state." Adam Grossberg/KQED. 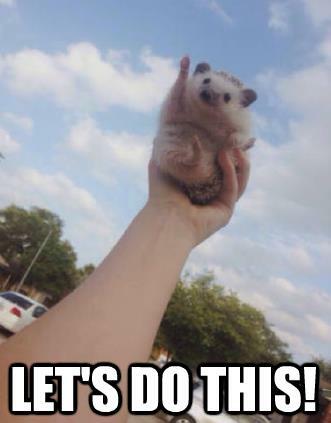 When Summer is Depressing. The more I read, the more I realize the depths of my ignorance, although my wife is kind enough to remind me of that on a daily basis. I had no idea some people suffered from a summertime version of SAD, Seasonal Affective Disorder. It turns out the symptoms are much different. Here's a clip from a story at The Atlantic: "...While about 5 percent of people are thought to have the winter variety of SAD, about one percent instead feel depressed in the summer months. The two seasonal variants make their suffers feel similarly low, but they’re otherwise very different. 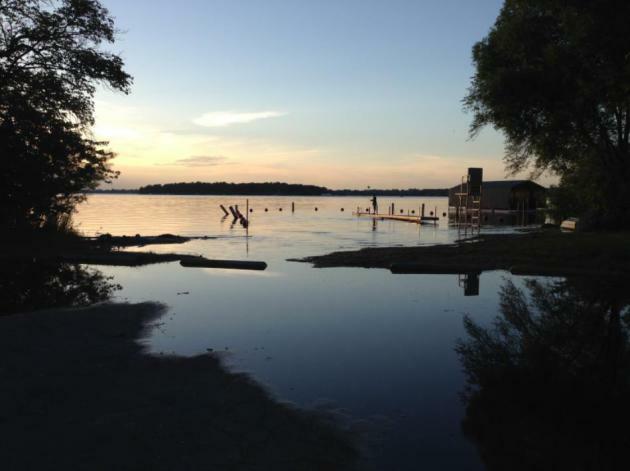 Those who get depressed in wintertime tend to get sluggish and put on weight, but summertime SAD sufferers lose their appetites and grow agitated, as the psychologist Jason Goldman explains..."
Coming To A Lake Near You? ICON A5 Amphibian Plane Unveiled. Gizmag has the story; here's a clip: "...The ICON A5 is designed to be simple to fly with a special flapless wing, spin-resistant airframe, and Angle of Attack (AoA) instrument to prevent stalling. Inside the A5 is an cockpit with an intuitive, distinctly automotive layout marked by a mixture of analog and digital instruments. Weighing in at 1510 lb (686.4 kg), the two-seater amphibian is equipped with both a carbon composite waterproof hull and optional retractable landing gear..."
The Health Benefits of Trees. I come from a long line of German foresters, going back 8 generations to the early 1800s, so there must be something genetic about my love of trees. Like water, I find being in the woods mentally healing - my blood pressure comes down when I'm near trees, and I suspect I'm not alone. Here's are excerpts from another fascinating article at The Atlantic: "They prevent $7 billion in health costs every year by filtering air pollution—not to mention their psychological effects. New research says the closer you can live to trees, the better off you are...It is becoming increasingly clear that trees help people live longer, healthier, happier lives—to the tune of $6.8 billion in averted health costs annually in the U.S., according to research published this week. 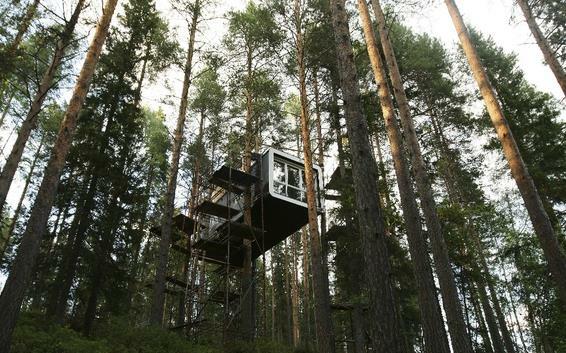 And we're only beginning to understand the nature and magnitude of their tree-benevolence..."
Photo credit above: "Treehotel, Harads, Sweden." (Matt Cowan/Reuters). 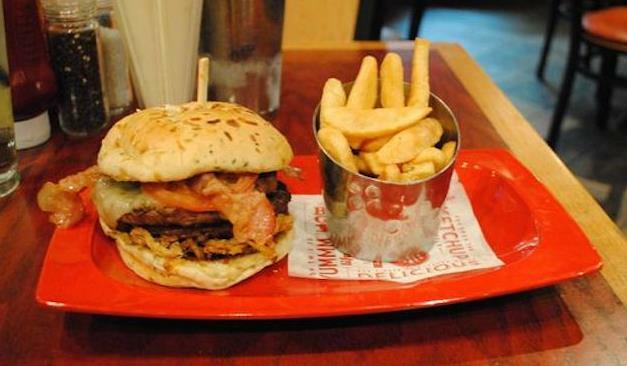 Red Robin Owns Distinction of Serving America's Unhealthiest Meal. "Hi, I'd like the Monster Special please. Does that come with a heart surgeon? Are you licensed to perform CPR?" Gawker has the gawk-worthy details; here's a clip: "...Red Robin is home to the unhealthiest meal in America, according to USA Today. In a report released by the Center for Science in the Public Interest, the "Monster" double burger, "bottomless" fries and a "Monster" milkshake clocks in at 3,450 calories. Also on the list were offerings from The Cheesecake Factory, including a "Brulee French Toast," which sounds delicious, but also terrifying..."
A Real "Sharknado"? As Likely as a "Tsunami of Unicorns". 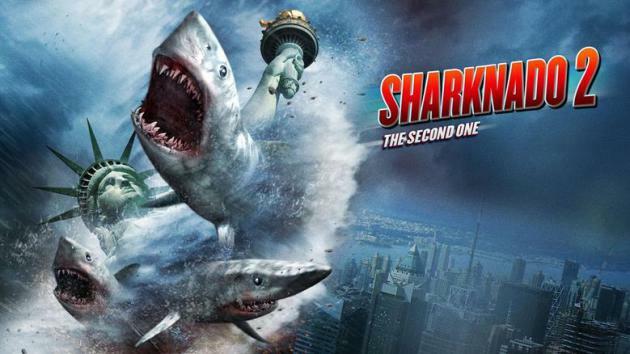 USA TODAY gets it right with the science behind why a shower or tornado-fueled sharks is impossible; here's an excerpt of the explainer: "...Here's how Freed lays it out: Compare the size and weight of a shark to, say, a piece of hail. At some point, there is a limit to how heavy hail is that it cannot be held up by winds. Even the biggest piece of hail is not the size of a great white. The threshold is smaller for a waterspout, he says, which needs to pick an object up out of the water. Sharks are simply too heavy, Freed said, but waterspouts can and have lifted up small, minnow-sized fish and carried them hundreds of miles away..."
84 F. high in the Twin Cities Thursday. 83 F. average high on July 31. 83 F. high on July 31, 2013. 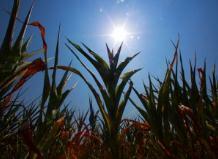 June Was The Hottest Month on Record for the Ocean. Simon Donner has more details at Maribo; here's an excerpt: "The oceans in June may have set an all-time heat record, according to data from the U.S. National Oceanic and Atmospheric Administration (NOAA). 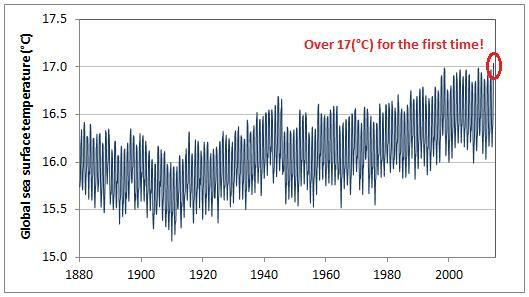 The global average sea surface temperature may have topped 17 °C for the first time in any month of any year since 1880. 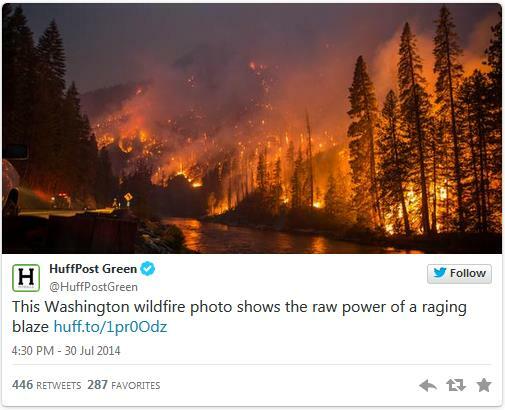 The NOAA State of the Climate analysis reported that last month was the warmest June on the planet since records began, thanks in large part to ocean warmth..."
This Happened While Everyone Was Putting on War Paint for the Obama Climate Hearings. Eric Roston has an interesting story at Bloomberg, highlighting General Mill's rationalization and inclusion of climate change into its long-term business strategy; here's an excerpt that caught my eye: "...Changes in climate not only affect global food security but also impact General Mills’ raw material supply which, in turn, affects… value to our shareholders,” the policy states, in its clunky bureaucratic prose. Come to think of it, prose this clunky and bureaucratic must actually mean something. If corporate sustainability reports are off-putting because of their gloss and self-congratulatory hyperbole, the Policy on Climate should be credited for having no pictures adorning it and including statements so inscrutable they can only have been written by lawyers who are serious...."
"Peak Soil" Threatens Future Global Food Security. Reuters has the article; here's a clip: "The challenge of ensuring future food security as populations grow and diets change has its roots in soil, but the increasing degradation of the earth's thin skin is threatening to push up food prices and increase deforestation. While the worries about peaking oil production have been eased by fresh sources released by hydraulic fracturing, concern about the depletion of the vital resource of soil is moving center stage..."
Climate Change is a Scientific Reality. Here is an Op-Ed penned by one of 100 scientists in Montana who have looked carefully at the data and trends and reached the same conclusion: climate change - climate volatility - is not a hoax - it's already happening. Here's an excerpt from Hungry Horse News: "...Some of Montana’s political leaders continue to ignore the most basic scientific findings about climate change. 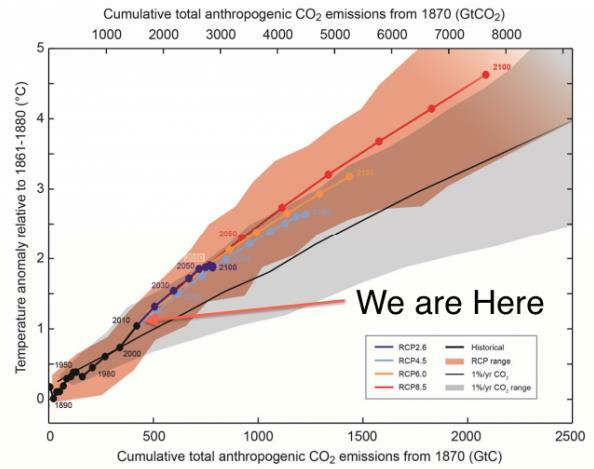 We hear them say, “I’m not a scientist so I cannot be sure.” We are scientists, and let us be clear: The scientific evidence that Earth’s climate is warming is overwhelming. We need to move from debate to solutions. We urge our policy makers to formulate solutions commensurate with the gravity of the issue at hand. Actions are needed at every level of government. The Environmental Protection Agency’s recently released Clean Power Plan is one of those important actions. It will limit carbon pollution from the largest emission sources — power plants — for the first time ever. It is a necessary step if we hope to avoid catastrophic climate change..."
German Water Supply Threatened as Climate Change Boosts Droughts. Most of us won't be taking water for granted in the years to come, according to this story at Bloomberg; here's an excerpt: "German water supplies will become increasingly threatened this century as climate change raises the risk of droughts and water shortages in the country. While Germany is considered water-rich, more water evaporates than falls as rain in the eastern part of the country, according to a report by a German parliamentary committee. Average temperatures may rise 3.5 degrees Celsius by 2100, resulting in more precipitation in the winter and less in the summer, the authors wrote..."